Whilst content marketing costs 62% less than outbound marketing, it generates more than three times as many leads. What innovative and useful content marketing tips are you using to generate leads? As someone who generates leads and sales through the content I share, I wanted to give you 21 effective and useful content marketing tips to help YOU do exactly what I have done. This article was inspired by an article I read on Content Marketing Institute. What companies come to mind when you think about a great story? For me, this would be Apple and Facebook. Both companies have had the successes they have had because of the people behind the brand, and how their story has connected with their target audience. The content I write on the Warren Knight website is now geared towards my story, and giving my audience an insight into who I am as the person behind my brand and is one my most effective content marketing tips. I have given insight into my work-life balance, and how to truly love what you do. Both of these articles tell a story, and this story is based on my life experiences. For a lot of the content I share, I include at least two statistics to build trust in my industry. Whilst I did not do the research to actually create the statistic, I do my research to find the companies that do. I have a Google Doc of a list of statistics specific to each social network, and overall topics like content marketing, and digital marketing. Having facts and statistics in your content is a great way to position yourself as a thought leader. One of my best performing articles called “Social Media Demographics” is ALL about different statistics about each social network. I have had tens of thousands of hits to this article because of the statistics I share. According to NewsCred, a reader will spend an average 36 seconds reading your article. What can you do to make them spend longer on your content, so that they get to know you and your business? Content that is easy to read and considered “skim-able” is a great way to encourage your visitors to spend more time reading your content. Break your article down into sub headers so they can easily find the content they are looking for. How often do you do your research to find what you audience are typing into Google that relates to your business? Do your research, and FIND what their questions are, and make sure you answer them in the content you share. I know that content marketing is a subject my audience love reading about, and learning from which is why I have written this article on content marketing tips. I have understood that content marketing tips is a key search from my audience inside of Google, so this article will give them exactly what they are looking for which ultimately increases trust. This is something I do on a regular basis. When I have a webinar running, I will always write content that allows me to talk about the webinar at the end of the blog. Offering your customers a real-time chance to sign up to a dated piece of online content like a webinar or podcast builds a great connection, and allows your audience to get to know your business whilst also building a community. It has been reported that marketers use approximately 13 different content marketing tactics online. Content marketing is much more effective when you are using different forms of content e.g. images, videos, written content. You will also see an increase in effectiveness if you are using various channels to distribute this content. I always share my written content on LinkedIn Pulse as I know this is a great way to get people over to my website, and to engage in a two-way conversation. Vary the content you share, and WHERE you share it to get the best ROE. Inside of Facebook I have a private members group of hundreds of businesses who have worked with me over the last two years. Inside this community myself and my team engage on a daily basis sharing content, running polls and answering questions. The content I share always offers a call-to-action whether it be answering a poll, or reading/watching a piece of content and you should do the same. I have been using Slideshare for years, and use this tool to upload all of my presentations, and webinar slides. I get thousands of views on my slideshare content, and whilst it isn’t as engaging as other tools I use, it does give me a great presence online, and allows me to give those who attend a seminar or webinar of mine a place to see the presentation I delivered, and to continue to learn from it. As a business owner, understand that creating brand new content everyday of the week is an uphill task and you may not have the resources or team in place to help you do this and that’s OK. Take a look at the content you have already created, and find ways to improve it before sharing it again with your community. This is a great way to save time when creating new content. You should still be creating new content but your audience understands that it’s not easy and showing them that your recycled content has been improved is a great way to continue trust. Do you who your target audience is? To be able to create content that will connect with your audience, you first need to know who they are. Define your target audience by where they live, their behaviours online and their age. Once you know the key pieces of information about your target customer you can build an image that allows you to connect with them the way they want to be connect with. You may find that your audience do not use a specific social network and understanding this will allow you to focus on the social networks they do use, saving you time to focus on engagement, and getting that ROE. This has to be one of the best content marketing tips I can give to you. On a regular basis, I have companies and thought leaders share content with me in an email, which then inspires me to write what I write. Also look for feedback and questions from potential customers to give you your next piece of content. If you are seeing the same questions coming into your inbox, maybe you need to write about it, or create an infographic. Evergreen content is a piece of content that remains relevant regardless of when it was published. I have various free guides on Think Digital First that work as a nice piece of evergreen content as they are “how-to” guides. Think about how you can take your knowledge and turn it into a piece of evergreen content that drives leads without you having to update it every week. 56% of marketers believe that personalised content encourages a higher engagement rate and I can definitely agree with this statistic. In my article I share my stories, and the way I “action” a lot of my tips and tricks, as well as giving the reader an insight into who I am. Are you doing the same? Personalisation is one of the most effective content marketing tips for businesses online as a way to really connect with their audience on a personal level. 23% of the total time users spend online is actually spent inside of a social network. Optimise your content for Social Media, and make sure it is shared across all of your social platforms in the best way for each specific network. What works on Facebook will not work on Instagram and what works on Pinterest will not work on Twitter so understand how each social network works, to give your audience the best way to read/watch your content. The latest article I wrote on Think Digital First about Pinterest has a video embedded into it because I am talking about a brand new feature, and a video is the best way to give an overview of the new features. Studies show that blogs with videos get more shares than those that don’t. Whilst it’s impossible to add a video to every piece of content you create, you should consider adding videos to content that is “educational” to give your audience an extra insight into your chosen topic. So many businesses fail because they do not think about how they are actually going to market their business before launching a product. When I am launching a new online course, I will always split my marketing into pre, during and post so that I know where my time and money is being spent, and so I can also measure the success of the new launch. When posting a blog, you need to make sure that the keyword around that piece of content is included in the URL of your blog. This is something that can be done very easily inside of your website platform. Blog URL’s that contain an endless stream of irrelevant numbers will make it harder for your audience to find your content through searching on Google, and this is a great way to generate organic traffic. 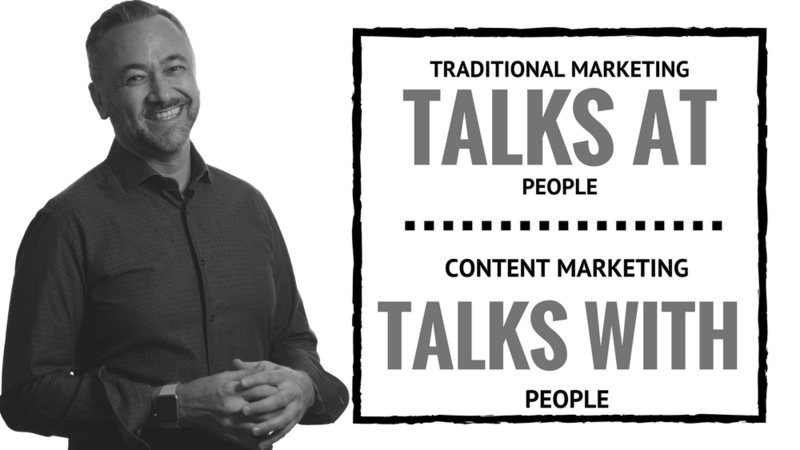 One of my favourite content marketing tips is very simple. If you are going to be sharing content online created by other people, you need to be reading it first to make sure it is relevant. This will also inspire you to write new content that your audience will love. Regardless of me being an expert in my field, I will always share content (and content marketing tips) created by other thought leaders in my industry. To make this easy, I have created a Twitter List which I can look at on a daily basis to see what those in the list are sharing content-wise. If you don’t know how to create a Twitter List, here is a great article I wrote about it. If you aren’t already, you should look at Feedly as another tool to use to create a list of great content. Compile a list of websites that share great content about your industry and bring them into Feedly so that you can easily find your next piece of content to share. There are millions of businesses sharing content online every single second. What are you doing to make sure your content stands out from the rest? One of my content marketing tips is to be original, and share content that encourages your customers to believe in the uniqueness of your business. 2017 is the year of long-form content. Yes, your audience only spend a very short period of time reading your content but what about the community of yours that is dedicated to read detailed content? Writing content between 500-800 words is somewhere in between both short and long content and this is where content doesn’t perform well. It’s too long to read quickly, and too short for an in-depth read. Create long-form content that is over the 1,000 word mark to give your audience something they can spend the time reading. I hope the above 21 content marketing tips will help you share content online. Let’s take this one step further for you, and help YOU effectively share your content on Social Media. 2017 has already flown by, and so much has happened in the world of Social Media and to help you better understand all of the new features, tools, tips and tricks I am going to be running a brand new, and exclusive webinar on the 1st March at 7pm. Learn what’s NEW in the world of Social Media, and how to apply it to your business through my certified webinar taking place on the 1st March at 7pm. Secure your place for this webinar here.